Unless you are a student with limited budget or a blogger who wants to write an article about “Free hosting” you should never..seriously now… NEVER choose a web hosting company that offers their services for peanuts or even worse for free . Let me explain myself. Hosting Servers require huge amount of money every year for running costs , maintenance and hardware upgrades. Moreover serious companies tend to invest on customer support by employing specialized techs , developers and support assistants. Don’t be naive.. Someone who promise you fast and reliable hosting with little or no cost wont be able to offer you quality support and your hosting experience nine out of ten times will be poor. But of course you can always try for yourself. Sometimes the path to knowledge passes through many thorns. Bellow a brief mention on virtues you WONT find in a really cheap or free hosting business. Lack of Support – Usually those Business are running by a few people that wont have the time or sometimes the knowledge to assist you in serious issues. Advertisements – Do not wonder if advertisements suddenly appear on your site. Free Hosting wasnt the word? It seems that nothing comes for free mate. No flexibility – I have seen this so many times. You finally got your website up and running but customers continue to grow and your resources ( bandwidth , space , speed , manageability ) are coming low. Then you realize that your hosting plan cant be upgraded and you have to buy a new plan which is not that cheap as you were expecting. So you have two choices… First you pay the now really expensive new plan or second migrate to an other hosting company. Don’t forget that migrations sometimes can be tricky and things might wont be working as expected from the beginning. Do you need a Dedicated Server or a Shared Hosting Plan is enough ? Under Which Operating system does your Application/website will be running? Plesk or Cpanel? Those three among others are basic questions you need to understand and finally answer to yourself in order to make the best choice. Without using scientific terms, bellow, I am analyzing some the most usual hosting packages in order to help you determine your needs. -Costs less money compared to others. -Your Website/App is hosted under a server which usually hosts a numerous other websites as well. -You have limited resources and access to basic configurations(usually is enough) , server maintenance , backup mechanisms and advanced configurations are held by the company’s staff. -Resources (bandwidth , disk space , number of domains , sql databases) are limited and defined by the Shared Hosting Packet you choose. -Ideal for simple websites with moderate traffic such us blogs , portfolio and corporate pages . In some cases it can be used for startup eshop platforms considering the platform the shop is created in. I have seen several cases where an opencart webshop runs flawless under a shared hosting plan. Other platforms such us Magento (no offense) need more resources in order to run. Almost the same as above applies here with a few differences. 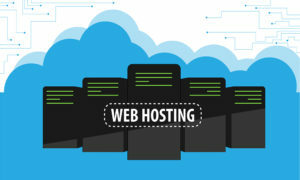 -Your website is hosted on virtual servers that pull resources from other public virtual servers. -You can handle basic hosting Configuration tasks that usually are more than enough for the most cases. If you need something more complex you can always use the company’s support. -More reliable! Your site has multiple servers at its disposal which means two things. First backups are stored in multiple places so there are more secured and second if any failure occurs your site will continue to stay online cause it can pull its resources from other public servers. -Flexibility. Here we go. 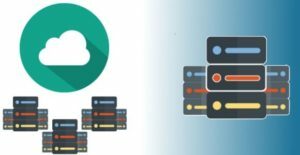 One of the most important benefits cloud model has to offer is that you can always scale your hosting plan based on your needs.For example if your webstore goes above expectations and you need more bandwidth or space or cpu power you can always add more resources to your hosting package at a small price. I place VPS hosting between Shared hosting and Dedicated server hosting. While you share the same server (machine hardware) with other customers your site is completely isolated from other websites. Its more like a PC having different user accounts. with a few words..
-Limited Hardware Resources ( RAM , CPU , Hard Disk space) depending on the Server you are hosted in. -Advanced Configurations are held by you so some specialized Knowledge is required. -Servers used for this type of hosting packages usually are more hardware equipped and ready to handle some serious tasks. High end CPU , SSD Disk , High Ram Capacity and more are expected. -VPS packages can be used for almost everything. From a really demanding web application till a thousands visitors webshop with Databases populated with thousands products. Of course it is not always the Server’s Hardware that makes a website fast and solid. Further Software improvements might be needed to take advantage of your hosting plan capabilities . If you really need a Dedicated server and you read this post then i am sure you DONT need a dedicated server!!!! As its name implies a dedicated server is used exclusively by you. It is ideal for large corporate environments or for Reseller hosting plans. -Really expensive. This time (2018) prices start from 70€/month up to 150€/month. -Unlimited Recources and Powerful machines that can accomplish well even in the most demanding situations. -Dedicated server hosting is like renting a PC. You are the only one who is using it but you must also be prepared to deal for any ups and downs might occurred. To be fair, Dedicated Server Hosting Plans always come with extreme 24/7 support and guidance. But in the end i feel you have to be an expert to take full advantage of a dedicated server. Last but not least the price barrier can be enough to guide you toward your needs. You would never buy a smartphone without reading any reviews right? Guess what.. same goes here. Usually good hosting companies have quality reviews and many satisfied customers. All you have to do is search the forums , post questions and read some reviews. Also before buying a service contact the company and ask for any specific details related to your project’s needs. Last but very important check if they offer free months subscription or your money back in case you wont be satisfied. Hosting business has been around for quite some time now and most hosting companies due to high competition are trying to offer quality services and support. So its not that easy to go wrong on this one. Focusing on support and flexibility are some good primary standards you might set. At the end even if things dont go as expected you would have learned a bunch of new stuff that will guide you better next time! You may comment bellow your hosting experience (bad or good) if you think it can add something to this post. Have Fun!